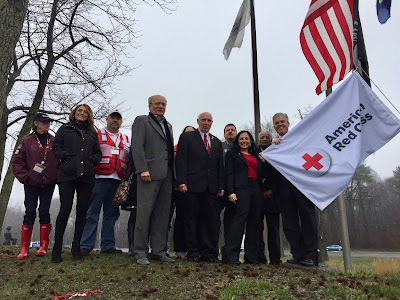 Suffolk County Executive Steven Bellone kicked off the LI Red Cross Centennial Celebration in Hauppauge. Over the last 7 days, the Greater New York Red Cross provided emergency assistance to 110 adults and 40 children following 50 local disasters. Here are some highlights from last week and a preview of upcoming activities (see below). On Friday, Long Island Red Cross volunteers participated in the Girls Inc Empowerment Conference at West Middle School in Brentwood. Also on Friday The Huffington Post published a women in business Q & A featuring Lisa J Donahue, a Managing Director at AlixPartners and an American Red Cross in Greater New York board member. On Thursday, The Week Magazine published an article about women in World War I, which included anecdotes on volunteerism and the Red Cross. Later that evening Greenwich Young Patrons for The American Red Cross held a kickoff soirée at L'Escale. Earlier in the week, the Long Island Red Cross congratulated board member Matt Thompson for his #KingsOfLongIsland award. Our CEO Josh Lockwood thanked Mastercard partners for including Greater NY Red Cross in the Women in the World Summit. Early Wednesday morning in Brentwood, Long Island Red Cross volunteers aided 3 families after a raging home fire. The Brookhaven Free Library on Long Island hosted a ceremony for newly certified American Red Cross Babysitters. 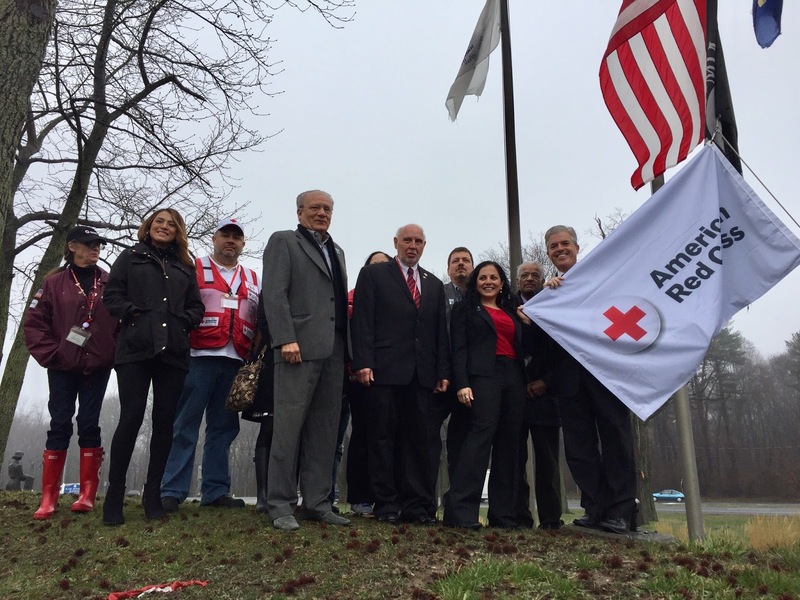 On Tuesday, Suffolk County Executive Steven Bellone kicked off the LI Red Cross Centennial Celebration at an event in Hauppauge. Apr 12, 14 & 17: Red Cross blood drive: 2 to 7pm: 520 West 49th Street, Manhattan. Schedule an appointment to donate today. Apr 15: #GetAlarmedNYC is coming to the Belmont and East Tremont sections of the Bronx to help make the community safer one home at a time. Volunteer to help out, or sign up to get a free smoke alarm installed in your home. Apr 17, 22: Want to become a part of the Red Cross Movement and help change the world one community at a time? Register to attend our volunteer orientation and learn about the many ways you can impact your community and make new friends by volunteering with the American Red Cross. Apr 19: The Greater New York Red Cross will be holding its annual Volunteer Recognition Event here at headquarters in Hell’s Kitchen. Apr 29: Red Cross NY has begun the countdown for Red & White Ball 2017! Join us on April 29th to celebrate J,R, Martinez, NetJets and the Heroes of the Paris Train Attacks.